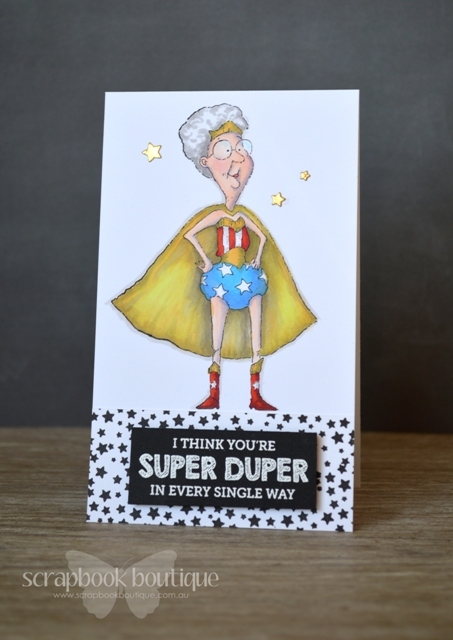 Back with another Super hero themed card today, this time for Scrapbook Boutique Blog and I have this hilarious image from Stampingbella, she just cracks me up! But it was one of those days when I just couldn’t work out where I was going with the card, although eventually I got there in the end. You can watch the process because I filmed as I created. You can find all these goodies at Scrapbook Boutique! Other Supplies: Copics – E000,00. R05,20,22,29. B000,02,24. 0. BV02. T0,2. W2,4. Y21. YG00,93. < Previous Supercathero / Green Lantern….. ish? Oh my gosh, Therese…I can’t stop laughing long enough to type 🙂 I have an aunt that looks just like her, and has a really great sense of humor…hmmm! I can’t wait to see this video! 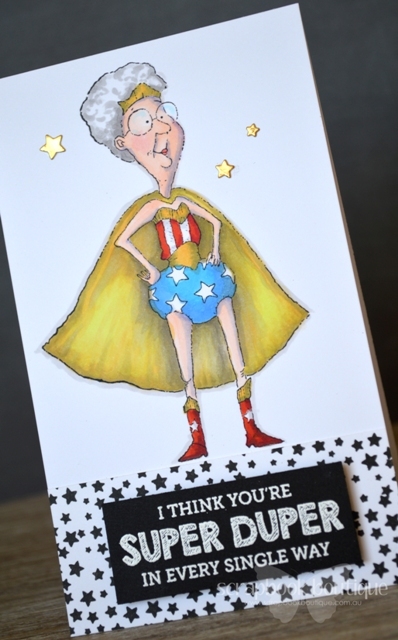 I LOve this Super Granny!!! Gladys is my new favorite Superhero, indeed! 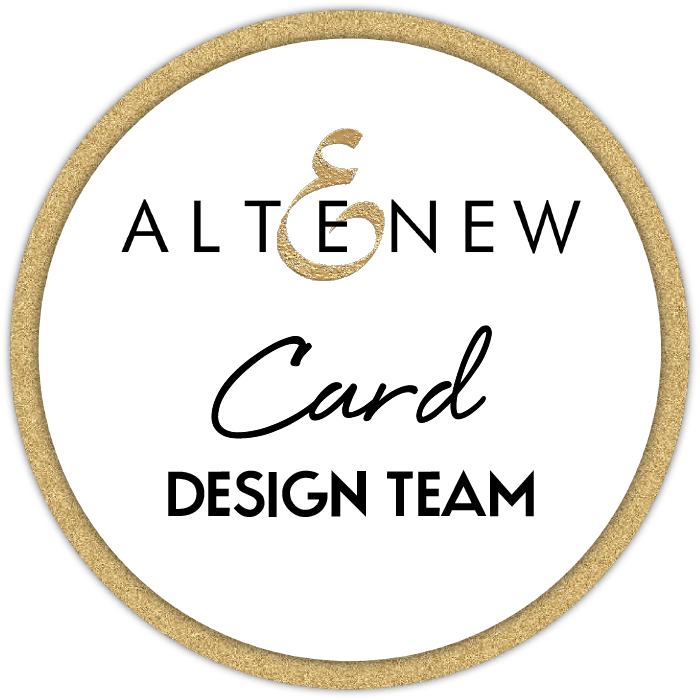 Such a fun image – loved watching your construction of this card! The starry panel was genius! Therese what a great card. The whole time you were coloring all I kept picturing is Wonder Woman. Fabulous card. What a super image. Great fun card! I always enjoy watching your colouring – you are so clever. This is such a fun card! Brought a BIG smile to my face!!! whahaha this card is hilarious!!! I wish I had a grandmother like that! 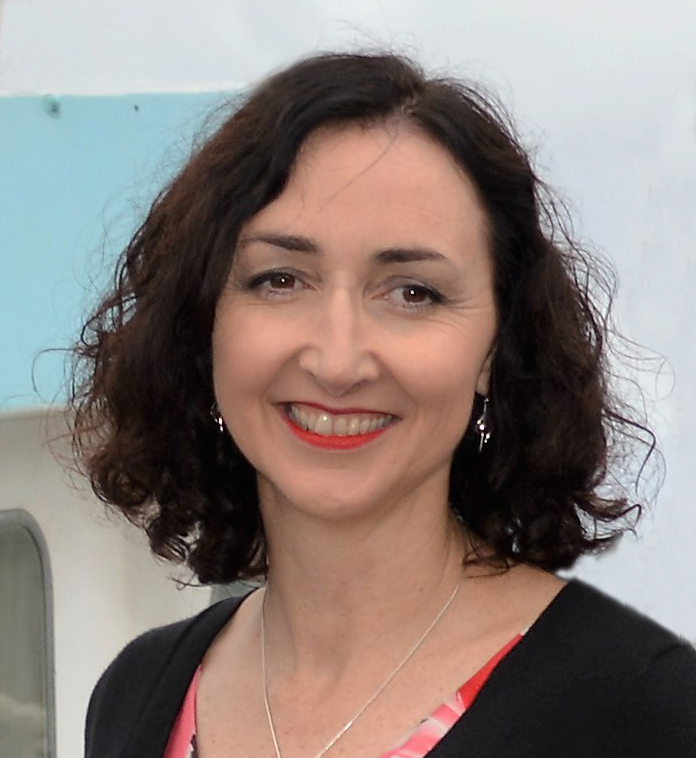 Just love the image, Therese! Beautiful colouring. Your super granny made me smile! Fabulous colouring – great to see the colour combo you used for the cape. It worked really well. Therese this card cracks me up, honest if you saw a picture of my mum… Its super great grandma….I will have to show her when I go back in a couple of days. Brilliant card, so well done. Oh Therese, I think YOU’RE Super Duper! From your amazing card creations to your wonderful videos, you are so talented and inspiring! Fun card design and beautiful coloring! Oh boy, that made me laugh out loud! Ha. I love this image, Therese. It reminds me of my Mom. She is my super hero.